Alfred the Great (“elf counsel” or “wise elf”; 849 – 26 October 899) was King of Wessex from 871 to 899. Alfred was the youngest son of King Æthelwulf of Wessex. 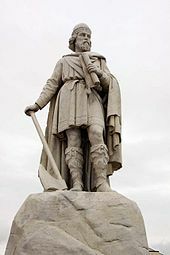 Rolf the Ganger, or Rollo raided the region of Neustria in 877. The King Charles died in 877 and left the city in a chaotic state. As a result, several different rulers’ unsuccessfully reigned for short periods and all failed to create a defense against the raging Vikings. At last, in 884, the King of Germany and Italy Charles the Fat took the throne of Frankia. Rollo returned to the lands of Frankia in 911. Ragnar and Horik’s men set sail for England, but a violent storm throws them off course, arrived in Wessex. Ragnar meets King Ecbert, who questions his reasons for staying in Wessex and offers to grant him some land. Later, one of Horik’s ships arrives with news of Jarl Borg’s sacking of Kattegat, Ragnar and his men set sail for home. Ragnar defeats Jarl Borg, reenters Kattegat. King Horik returns to Kattegat, defeated by King Ecbert. 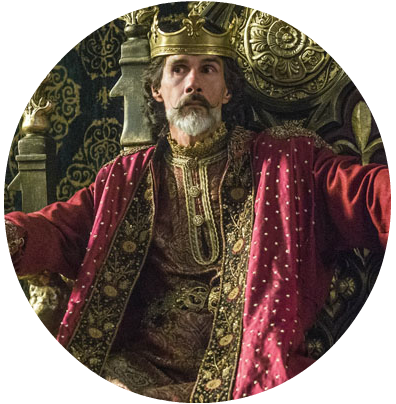 In England, King Ecbert proposes an alliance with King Ælla against the expected return of the Vikings. 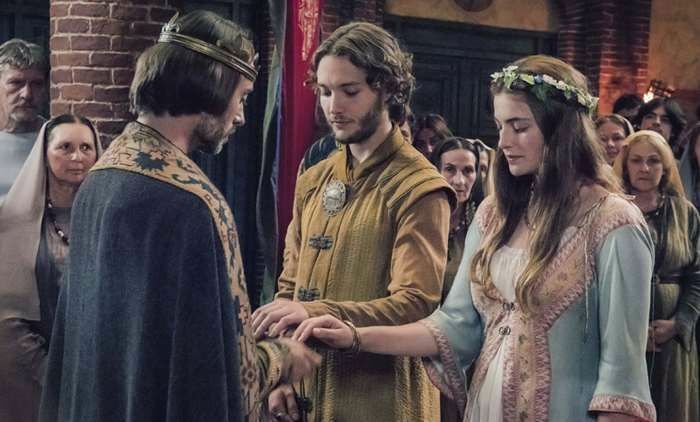 In Wessex, Ecbert receives Princess Kwenthrith of Mercia, who is in civil war with her family after murdering her brother Kenelm (Saint Kenelm or Cynehelm). 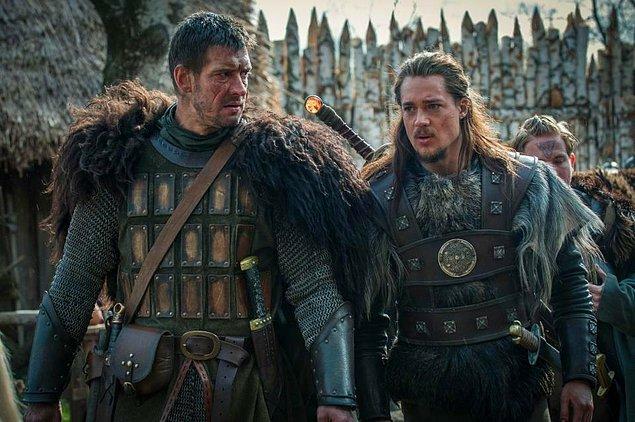 After landing in Wessex, Ragnar decides on his own to inform Ecbert of their arrival, annoying Horik . Horik advances towards what he thinks is the Wessex army, but Ecbert catches the Vikings and defeats them. Ælla wants to destroy the remaining Vikings but instead Ecbert decides to offer them land and to employ them as mercenaries to fight against Mercia. 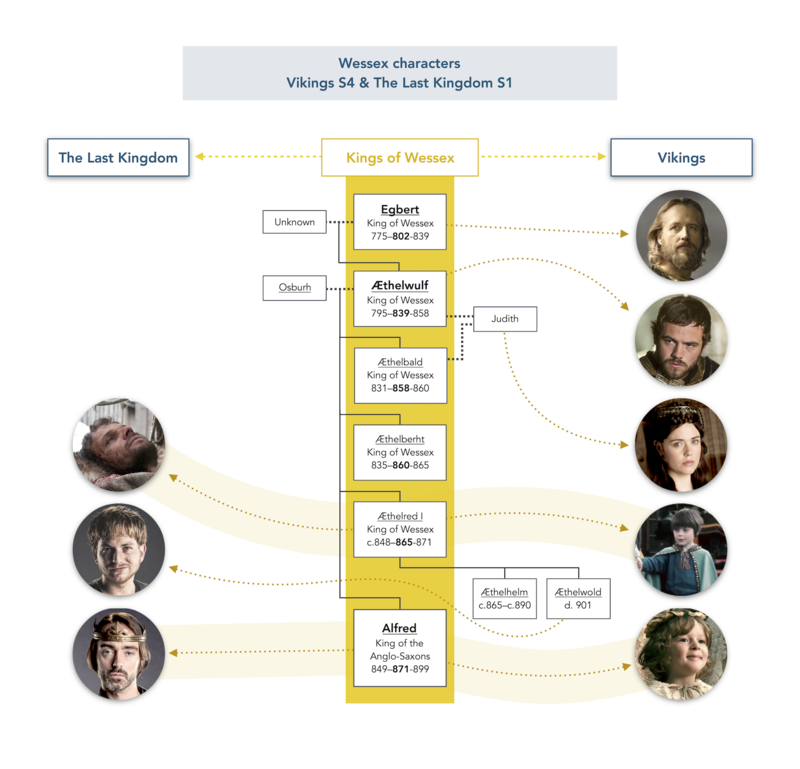 Vikings & The Last Kingdom’s Wessex characters.